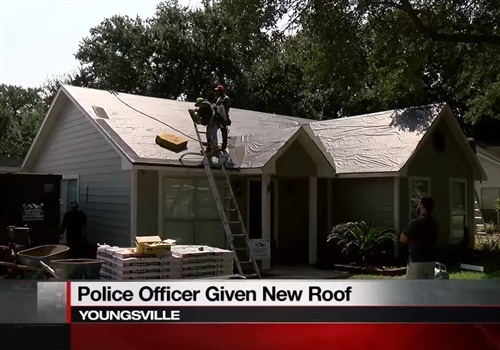 Darren Domingue—owner of Lafayette Roofing & General Contractors—has for the second time in the span of just a couple of months constructed for free a new roof on the home of a deserving Louisiana law enforcement officer, according to KATC-TV. Last month, a new roof went to a Lafayette Parish Sheriff’s deputy. Today, Matthew McGinley, another Lafayette Sheriff’s deputy, received a new roof. "With everything going on with police these days, it is essential to show people how important our boys in blue are to this community,” the company said in a statement.